With each passing day we grow physically, emotionally, mentally and spiritually. As we grow older we come to terms with the deeper truths of life. We change as a person, within and without. Our consciousness raises and it cannot be weighed down by things that used to bother us. I’m sure we have all been rebellious as teenagers to a certain extent. It’s natural, it’s the psychochemical path we all walk through. But we have overcame most of those issues that used to trigger us off. We tend to let go of certain extreme reactions and emotions (mostly negative) as we grow older and reach higher levels of consciousness. It’s like when you zoom out and see the bigger picture, the little details that once played a big part are not that important suddenly, there are countless other details a part of bigger objects. And you make connections that give you a lot more meaning. You see how everything connects. It’s not that one problem is more or less significant, the scale you perceive things from is just different. That’s what raising your consciousness really is, you slowly zoom out and see the bigger picture while losing sight of smaller details. The following is a list of things we give up when we raise our consciousness to higher states. Hatred is inter-related to anger, and these two combined make for the most negative of emotions. They dominate our feelings and add fuel to the fire, the negativity we may experience. Anger is a self-destructive feeling. It does not allow us a peaceful state of being. Hatred gives impetus to physical illness considering how mentally and emotionally draining it is. Once your consciousness raises enough to see this, you no longer waste time and energy to feel that way. The bar that triggered you those emotions becomes a lot higher! We give rise to jealousy when we start comparing ourselves to others. We associate extreme value to material objects and feel envious when we do not possess the same things as others. We get jealous of people who own those things that we want for ourselves. But jealousy is a destructive state of mind. You don’t just want what other people have, but you would rather see both of you don’t have anything than some of you something. But as your consciousness raises you start to realize that instead of being envious of what other people have, it’s much better and more constructive to use that as a sign of what you for yourself. To be inspired! The immature version of us was afraid to take risks because of the fear of failure. As the years pass, we find ourselves being thrilled at opportunities. We are no longer afraid of taking risks once we realise that certain risks are necessary. As we raise our consciousness we realize that it’s not about failing or not, it’s about walking your own path, following your own purpose and the journey itself. That’s the adventure. That’s what’s exciting! Our spiritual growth opens our eyes to the uniqueness we possess. We begin to realise that we are a continuous process of becoming. There is no self. We are always enough to keep becoming the uniqueness that we are. We are always free to be better than we used to. Once we realize this, our insecurities fade as we see that they do not define us. As we raise our consciousness we realize that our flaws are not permanent as long as we grow towards betterment. People who are at low levels of consciousness perceive the world 4 dimensionally, scattered with their thoughts in the past, the present and the future all at once. But people who are at higher levels of consciousness know that the now is all there is, all that ever was, and all that ever will be. They perceive the world 5 dimensionally. They know that we are all truly free in the now. Simply being in this state of presence, there is no anxiety. There is no use thinking about the past and the future. You exist and you are free to choose any future you want for yourself. 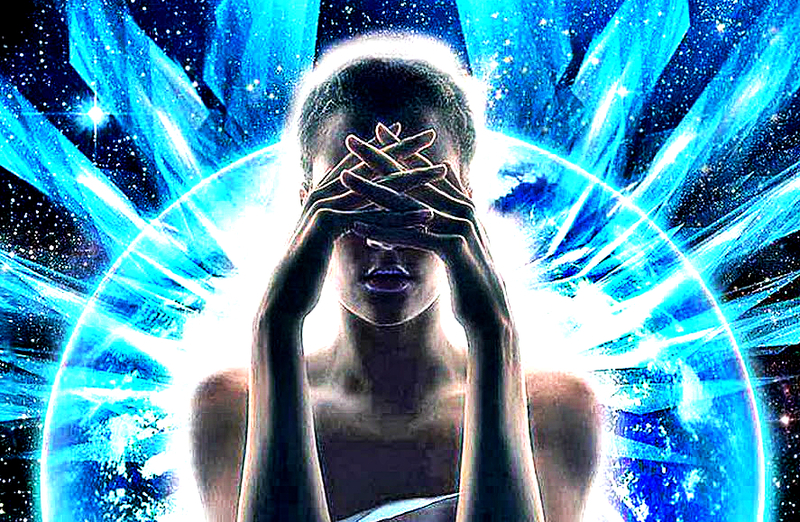 As we raise our consciousness we slowly start perceiving the world through higher dimensions. Probably one of the hardest things in the world is forgiving someone who wronged you. Even harder than that is forgiving yourself. But eventually you will realize that revenge serves no one. It’s not about honour but about your ego. It creates more of what you fight against. So, in a way, it dishonours what you say you truly stand for. And don’t get me wrong, this does not mean that we start letting others push us around. No, you stand for what’s fair, you stand for what’s right, and you fight for that if that’s what is necessary. But you don’t do that because you have personal hate towards others. You just stand for what you know is right deep inside your heart! As we raise our consciousness we realize that we give up on ideas of doing wrong to others or harming them, we begin to walk on a path of self righteousness. We realise we don’t want to inject negativity into the world. We would rather do what we love to do.